The Episode starts with Anjor asking them to throw out Chakor. Chakor asks her not to talk in between, she will prove her innocence and none can take her down. She goes. Anjor thinks your first day became the last day, you can’t prove anything, you have to go from here. Prakash says you know Mausi, can she steal this. Sameer says I know her very well, she has paid a stranger’s bill by her hard earned money, she can’t do this. Bua says Anjor did her mum’s Shraddh to please you. Poonam says she has ended relations with her mum. Bua asks why didn’t she get rid of labor tattoo, Anjor hates Chakor as she didn’t forget the past, she can go back to her mum. Poonam gets angry. Anjor sees the tattoo and recalls Chakor. She tries to cover the tattoo. She says you can never proof that you didn’t steal my bracelet. Chakor prays and thinks I can’t lose my job. She sees CCTV and asks lady to check the footage. The lady nods and asks guard to get the footage. They check the footage. Chakor says see I m standing far, someone else has out the bracelet in my bag, who is it, face isn’t seen, is there any other camera. Guard says no. She asks him to zoom the frame. She says thanks, we have to show footage to principal ma’am, call her. Anjor is happy that Chakor is leaving. Chakor comes with principal. The lady says Chakor didn’t steal the bracelet, she has proved her innocence. Anjor gets shocked. Sameer smiles. The lady says whoever did this should come out, else it will be very bad. Chakor knows Anjor did this and defends her. The lady apologizes to Chakor and asks her to join the college. Chakor smiles. Anjor leaves. Chakor stops her and asks her why did she do this. Anjor thinks Chakor can see this tattoo and know my truth. She scolds Anjor and says you don’t know my job is so imp to me. They argue. Chakor remarks her bad upbringing. She warns Anjor. Anjor comes home in anger. Kiku hugs her and flirts. Anjor goes to hit him. She ignores them. Poonam asks Anjor to remove the tattoo and forget the past. Anjor refuses. Poonam insists her and asks the man to remove the tattoo. Chakor and Anjor compete in a race. 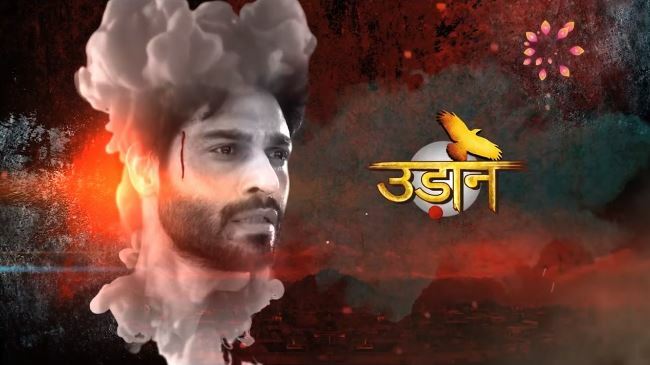 The post Udaan 1st March 2019 Written Episode Update: Chakor proves her innocence appeared first on Telly Updates.